Many Haitians are believer of "remed fey" or "bush medicine". They knew the use of cure-to-all medicinal plant Asosi or cerasee or corailee in English which grows all over South Florida, especially in abundance during the rainy season. It is also known as the bitter gourd or bitter cucumber in Asia, South America and the Middle East. The magic healing power of this green plant with five point leaves is not a secret; it is known to many habitants of South Florida's Caribbean community. Cacheta is not alone; many inhabitants of Miami with Caribbean origin grow this magic herbal plant in their backyards and call it as the "King of the Forest". 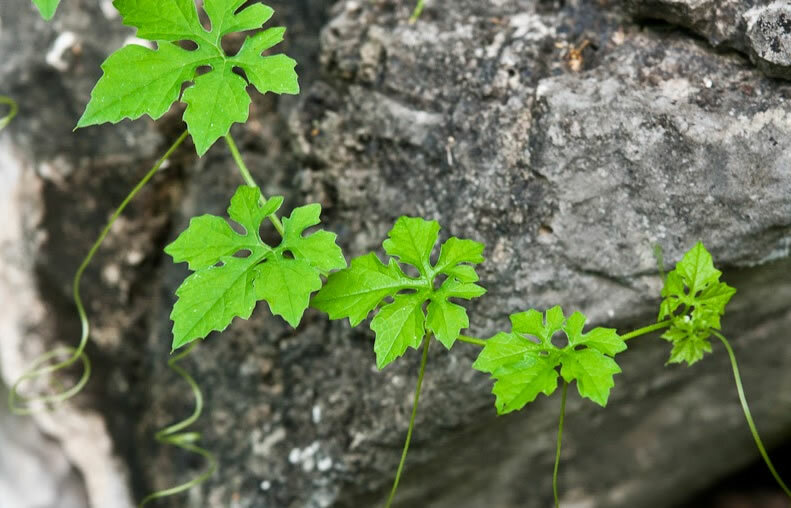 They do not consider it as an annoying weed; rather consider this as a remedy for just about every ailment. For its therapeutic use, asosi or cerasee is boiled similarly like tea. Firstly, the vine is rinsed well clean, and then the leaves and stems are boiled in water until it turns into murky greenish brown. The taste of this soup is very bitter and therefore, hard to swallow. But there are individuals who take delight to drink it because cerasee herbal tea purifies the blood, settle the nerves, keeps the skin clean, spotless and a cerasse bath is excellent for all joint ailments. It treats diabetes as a blood purifier; it is anti microbial, anti cancer and functions well as an abortifacient agent (prevents miscarriage during pregnancy). If your skin itches or has small rash, rub the affected spots with cerasee leaves and wash it; repeat the process for few times. Cerasee (Momordica charantia, botanical name) is used for treating a host of conditions and is good for fevers and for preventing colds and flu. It is also used for digestive disorders, colic and ulcers. It is also key ingredient in the medication that prevents mother from transmitting H.I.V. to their unborn children.